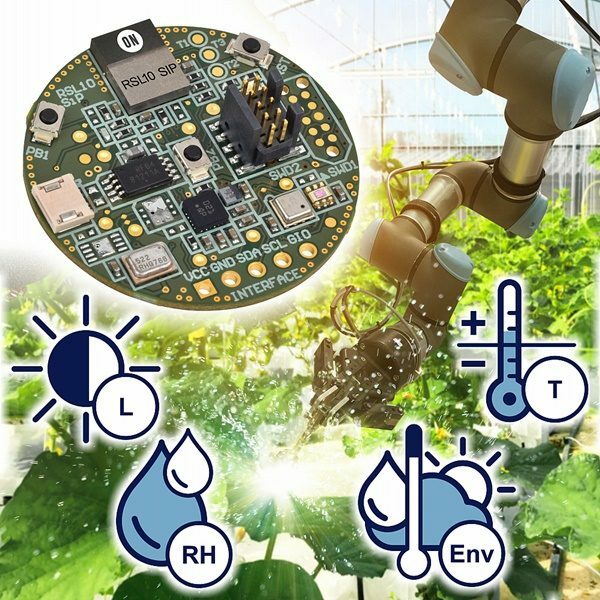 ON Semiconductor (Nasdaq: ON), driving energy efficient innovations, is pleased to announce the introduction of the RSL10 Sensor Development Kit, designed to provide engineering teams with a comprehensive platform for developing IoT applications with cutting-edge smart sensor technology, and enabled by the industry’s lowest power Bluetooth Low Energy radio. The RSL10 Sensor Development Kit brings together the highly integrated RSL10 System-in-Package (RSL10 SIP) with a range of advanced low power sensors from Bosch Sensortec. The development platform provides 9 degrees of freedom (DoF) detection and environmental monitoring, including ambient light, Volatile Organic Compounds (VOC), pressure, relative humidity and temperature. An ultra-low noise digital microphone is also included, along with a user-programmable RGB LED, three programmable push-button switches, and 64 kbit of EEPROM. Visit the ON Semiconductor booth (Booth 260, Hall 4A) at Embedded World, February 26-28th for a live demonstration of how service-provider companies can use the RSL10 Sensor Development Kit to monitor worker safety. ON Semiconductor experts will be onsite showcasing our latest solutions for IoT including energy harvesting, smart lighting, and audio edge AI.